Set your imagination free! 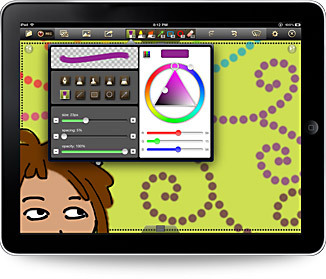 Create hand written presentations and hand drawn graphics right on your iPad. 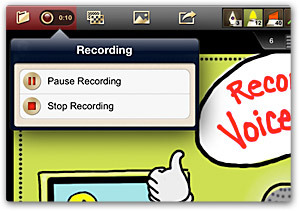 Using the exclusive Doceri Timeline authoring platform, each stroke of your finger or stylus is recorded and can be replayed and edited in sequence, or cut, copied and pasted elsewhere in the project timeline using the lasso tool. Any saved drawing can be opened again so you can review, edit and set stop points using the timeline so you can replay your drawings and annotations as they were written, or reveal a section at a time. Once you’ve perfected your project, you can add an audio voice over to any section, or the entire project, pausing at any point and resuming recording when you’re ready to go on. The result is a standard .mov video that will be saved to your My Recordings folder.